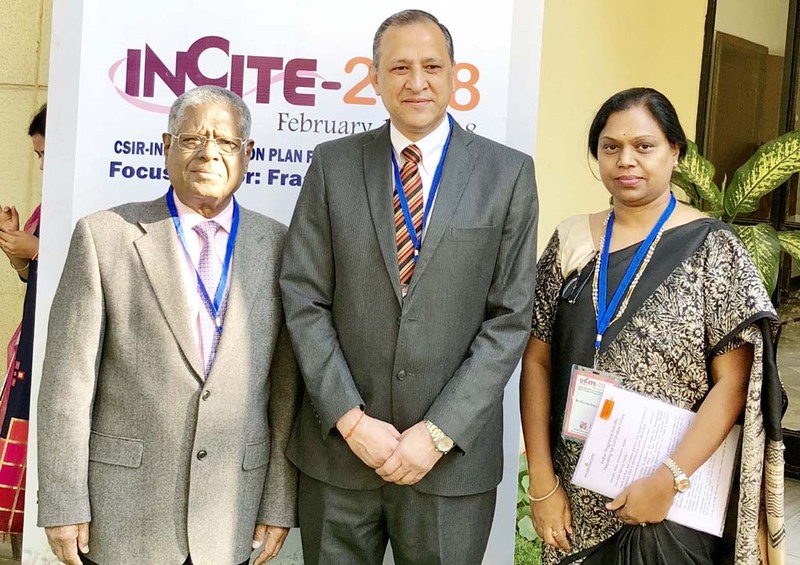 INCITE 2018 - Ultra International B.V.Ultra International B.V.
On February 15th some 100 delegates met at the CSIR’s India Institute of Toxicology Research, Lucknow, for a path-braking event to discuss a roadmap for the sustainable growth of the fragrance industry. The seminar was organised jointly by the CSIR, Research Institute of Fragrance Materials (RIFM), the International Fragrance Association (IFRA), and Ultra International, as the main industry partner. 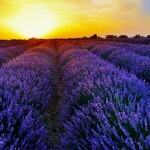 Senior Indian and international participants represented leading research institutes, academia and the fragrance industry. It was the first occasion that such stakeholders had come together to exchange views on critical issues facing the Indian fragrance industry. PROFESSOR ALOk DHAWAN, Director CSIR- IITR welcomed delegates to this unique event and thanked Ultra’s Sant Sanganeria and Bhuvana Nageshwaran for their initiative and exceptional efforts in making the conference a reality and bringing RIFM and IFRA on board. He argued that standardisation adds value to products and appealed to the fragrance industry to cooperate in this mammoth task. PRO FESSOR ANIL KUMAR TRIPATHI, Director CSIR-Central Institute of Medicinal and Aromatic Plants (CIMAP) spoke about the CIMAP’s research activities including the work on low cost, high yielding varieties of aromatic crops, particularly in regard to M. Arvensis. He discussed how under the Aroma Mission, several CSIR institutes were jointly developing and popularising technologies for cultivating, processing, value-addition, product development and marketing of medicinal and aromatic plants. DR. JAMES C. ROMINE, President of RIFM, detailed the organisation’s work on safety and risk assessment of fragrance materials and urged IITR and CIMAP to collaborate with RIFM in accelerating the safety studies on remaining molecules and natural complex substances. MR. MICHAEL CARLOS, Chairman IFRA shared his views on the challenges posed by the fast changing global environment and wanted to explore collaborative opportunities between RIFM/IFRA and Indian government and industry organisations to formulate a regulatory framework for fragrance materials. MR. SANT SANGANERIA, Founder Chairman, Ultra International and a driving force behind the conference, discussed the fragrance industry’s unique, interdependent and international characteristics, which made it sensitive to market, socio-economic and regulatory changes. He elaborately outlined the challenges and impact of these changes and stressed the need to adopt scientific and futuristic approaches to prepare for change and maintain steady growth. Salient points included: regulations and restrictions can be an opportunity to improve product quality and safety; regulations not only make products safe but compel innovation. Specific needs include: substantial R&D investment, well-trained human resources; promotion and development of quality products with safety and efficacy, standardisation of natural and synthetic aroma materials; harmonisation of Indian industry with global safety and regulatory norms, promotion of aromatic crop cultivation, collaboration between research institutes (e.g. IITR, IFRA, RIFM) and a platform where all stakeholders can share their views. MS. MARTINA BIANChINI, President IFRA, outlined its various activities and vital role in establishing science-based fragrance safety standards, implementing self-regulations in many countries and efforts to improve the value chain in the global fragrance industry. Also she saw possibilities in cooperating with CIMAP under Aroma Mission. DR. SHEKHAR MITRA, President InnoPreneur & Former Sr. V.P. at P&G presented on ‘Innovation in a Changing World”, emphasising developing innovative technologies to deal with changing global challenges; and the need for Indian companies to partner with international companies to make Indian fragrance world class, facilitated by a lot of science. CSIR-Indian Institute of Toxicology Research, Lucknow, a constituent laboratory of Council of Scientific & Industrial Research, was established in 1965. This multidisciplinary research institute with the motto Safety to Environment and Health and Service to Industry addresses problems critical to human health and environment. CSIR-IITR has GLP Compliance Certification from NGCMA, Government of India, issued with respect to toxicity & mutagenicity studies and NABL accredited facilities for biological and chemical testing. CSIR-IITR undertakes research in niche areas of toxicology. These include the impact of industrial and environmental chemicals on human health and ecosystem, and environmental monitoring of pollutants in air, water and soil. DR. ALOk KARLA, Chief Scientist, CIMAP provided an overview of the Aroma Mission, aimed at sustainable production and value addition of aromatic crops. Its key objectives included value addition of essential oils; promotion of aromatic crop cultivation; development of essential oil based antimicrobial formulations, bio- pesticides, regional and environment-speci c aromatic crops; development of high yielding essential oils crops; and use of agro-technology. DR. VIJAY BAMBULKAR, Consultant & Former Director-External Growth and Innovation- at Johnson & Johnson, gave a presentation on ‘Proactive Compliance of Indian Fragrance for the Global Market’, arguing that self- regulation by the Indian fragrance industry in the interest of the global consumers is the best way forward until the regulatory authority starts enforcing regulations. DR.RAHUL PARAKHIA, Toxicologist, RIFM, explained various steps and procedures related to RIFM’s approach to skin sensitisation safety assessment, which are valid worldwide. DR ANNE MARIE API, VP, RIFM presented on RIFM’s various types of safety assessment studies and research programmes on fragrance materials and its integrated approach to bringing science to fragrance safety. DR. ATISH PATEL, Toxicologist, RIFM, gave an overview of RIFM’s toxicology research programmes and explained TTC (Threshold of Toxicity Concern), a risk assessment tool that establishes low level exposure values for chemicals with limited toxicity data. The Panel Discussion concentrated on ‘Value Addition in Fragrance Industry through Standardisation and Safety’. Safety assessment adds great value to a material and makes a product globally acceptable; standardisation and safety assessment are greatly needed and should be positively welcome by the Indian industry. Mr. Sanganeria emphasised farmers’ education enabling them to produce high quality essential oils, while Ms. Nageshwaran, responding to a question, stressed the industry’s responsibility towards the farming community to make them aware of hygienic practices during essential oil distillation. Professor Dhawan concluded that consumers’ increasing awareness of product safety necessitated the need to accelerate standardisation and safety assessment of fragrance ingredients. He saw the conference as just the beginning of the process and its recommendations would be put before the government to pave the way for e ective regulation relevant to the fragrance industry. It was unanimously agreed to continue further deliberations to work out an articulate roadmap for sustainable growth of fragrance industry.